Specifically design for carpenters, Gel Pro Carpenter Work gloves provide complete functionality with protection. A fingerless design means you have the flexibility to pick up the smallest items. The textured grip offers improved control and abrasion resistance. Holmes Mechanics Work Gloves Black synthetic leather palm with silicone imprinted on full palm and fingers. 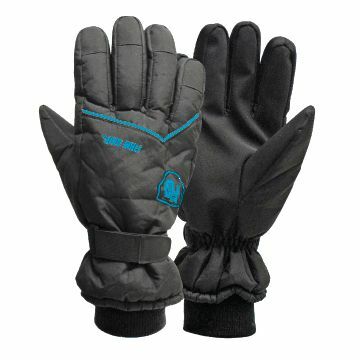 Black nylon spandex back with plastic badge on gloves' back and 3 fingers with knuckles. Reflective print on back of hand. Neoprene cuff with Velcro adjuster on back. A puller loop added on palm side of cuff. IPhone touch material on thumb and index.